Almaz in Academic National Drama Theatre buy tickets online. Delivery of tickets for the event Almaz. This poem is dedicated to Soviet ideology and collective form movement “Almaz” was born in a village of Azerbaijan in poverty in the 19 th century. She is a young girl who studied in Baku and returned to her native village. Teaching in the village she struggles against the past rules. The People don`t accept it. 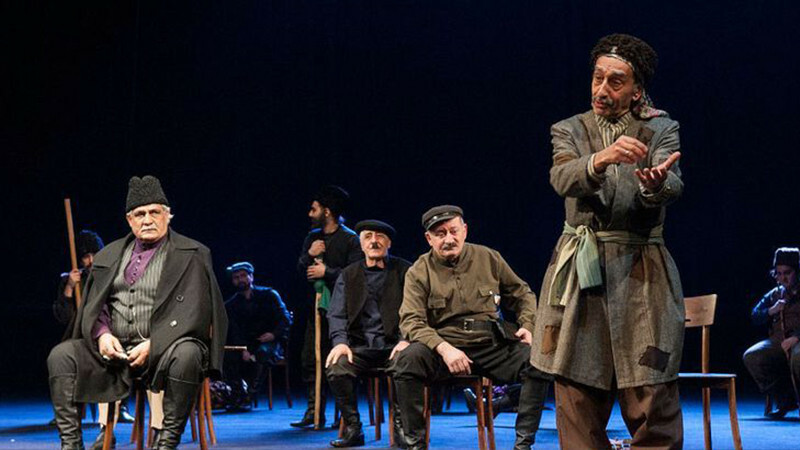 Though the poem is dedicated to collective farm movement, it is about a struggle between oldness and modernity staged by Azer Pasha Nematov in Azerbaijan Academic Dram Theatre. “Almaz” cannot struggle against strong, enemies. She can`t win but it teacher her to be a brave strong and woman.